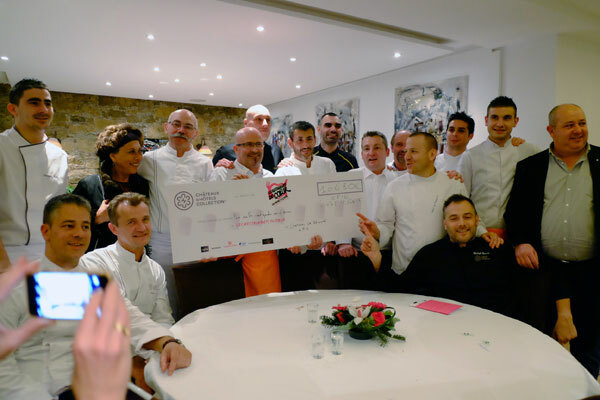 Goal reached and surpassed for big-hearted chefs of Dîners de Chefs Châteaux & Hôtels Collection: € 110,744 donated to Restaurants du Coeur. 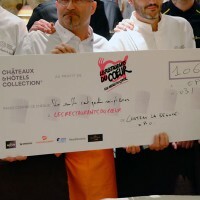 On Thursday, December 3, 2015, nine Dîners de Chefs Châteaux & Hôtels Collection in favor of Restaurants du Coeur occurred simultaneously throughout France with the aim that all revenue of meals and animations during the evening reach € 100,000 to mark Restos du Coeur’s 30 years of struggle, 30 years of solidarity in 2015. Made by many hands by over 85 Chefs of the chain of etablishments headed by renowned chef Alain Ducasse, the Dîners de Chefs have been a great success, both on the gastronomic field as charitable, as all revenue generated by the talent of big-hearted chefs allowed to donate € 110,744 to the association founded by Coluche. With this sum, on the basis € 1 = 1 meal, more than 110,000 meals will be distributed by the association as part of its 31th winter campaign. 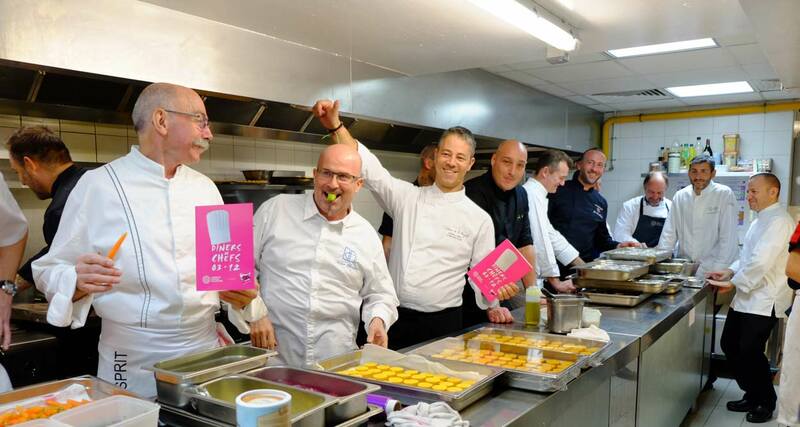 The sum of € 110,744 has been collected thanks to the 1,200 generous guests who attended the Dîners de Chefs. Each place was proposed to the single price of 90 €, drinks included. The entire revenue generated by the 9 dinners, as well as the activities organized during the evening, was donated to the Restaurants du Coeur. 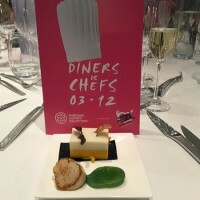 The following restaurants have hosted Dîners de Chefs: Le Château de la Bégude in Opio (06), L’Espace Monet-Cathédrale in Rouen (76) , Le Domaine de la Corniche in Rolleboise (78), Le Restaurant Michel Chabran in Pont-de-l’Isère (26), Le Palace de Menthon in Menthon-Saint-Bernard (74), L’Espace Darwin in Bordeaux (33), La Cuverie Louis Jadot in Beaune (21) and the Restaurant Maison Sukaldari in Arcangues (64). 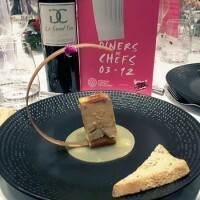 At the Restaurant Les Pins Penchés in Toulon (83), of chef Stéphane Lelièvre, founder of the Dîners, the gastronomic evening took place in the presence of Véronique Colucci, widow of the late comedian and Alain Ducasse. If needed, we will be present! 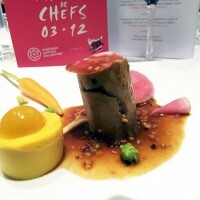 We take you to Le Château de la Bégude in Opio, to live one of these dinners in favor of the Restaurants du Coeur. 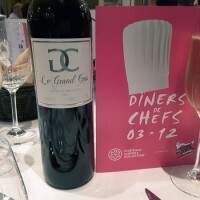 The Dîners de Chefs at Château de la Bégude in Opio Valbonne Golf Club, gathered 107 guests at Le Ciste rerstaurant and was signed by Gabriel Degenne, resident chef of Château de la Bégude and Jean-François Bérard – L’Hostellerie Bérard & Spa (83); Denis Fétisson & Didier Choteau – L’Amandier de Mougins (06); Erwan Louaisil – Le Moulin de Mougins (06); Noël Mantel – Restaurant Mantel (06); Christian Morisset – Le Figuier de Saint-Esprit (06); David Vaque – Le Bistrot Gourmand (06); Christophe Chiavola – Les Terrasses de l’Image (13); Nicolas Vie – Le Moulin de Vernègues & Spa (13); Marc De Passorio – L’Esprit de la Violette (13). The success of the event, is also due to the restaurant staff who has volunteered and the many partners of the event. 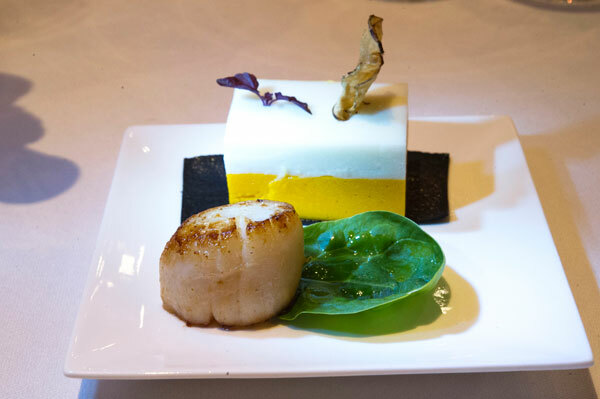 Amuse-Bouche by Chefs Châteaux & Hôtels Collection: roasted Scallop, Mousseline of Pumpkin and Jerusalem Artichoke: a golden and juicy Scallop, eaten with a duo of seasonal vegetables. Foie Gras, crust of Galabé, frangipane ofCalisson Aix: the crispy structure of Galabé sugar, with its aromatic and long finish beautifully complemented the generous Duck Foie Gras cooked in cloth on its fragrant pedestal of Almond. 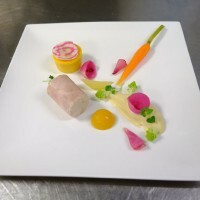 Supreme of Poultry, jelly Mandarin, jus corsé with orange and forgotten vegetables: around a low temperature cooked poultry, the marriage of fruit and tuber, of air and root, supported by a juice that gives its full dimension to the dish. 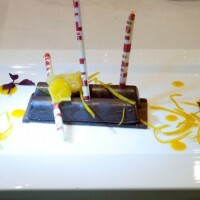 Dessert: Chocolate Finger Elianza, Tonka beans and Citrus Sauce: the combination of strong chocolate and orange is always happy (especially if there are candied orange filament)! To close the meal with sweet: Mignardises as we like in Provence. Established in 1975, Châteaux & Hôtels Collection is the reference in charming hotel industry combining a gourmande and authentic restauration in Europe, enticing global gastronomes travelers. Chaired by Alain Ducasse since 1999, the collection offers 520 unique addresses in 16 countries, mainly in France and Italy, including 265 Tables Remarquables of the Collection. Its will is to promote and favor the “tables de chefs”, recognized and promising, committed to transparency and respect for the product. The brand defends independent hotel and a restaurant venues, based on diversity and authenticity, with the slogan “The true charm”. 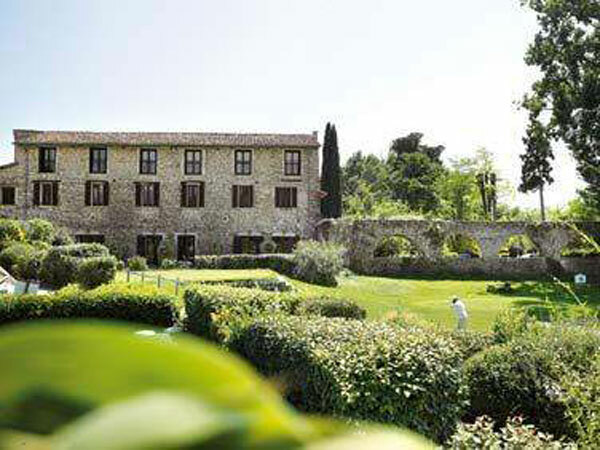 At the heart of the French Riviera, the beautiful natural area of Opio Valbonne Golf Club is home to one of the jewels of the French Riviera, Le Château de la Bégude, which respects with elegance the Provencal charm of a protected and authentic area, while offering the modern comforts of a 4-star hotel. Surrounded by the Golf of Opio Valbonne 18 holes, the place calls for calm, relaxation and douceur de vivre. The Château de la Bégude has 40 rooms and suites, 2 Mediterranean-inspired restaurants, 4 meeting rooms, an outdoor pool and tennis courts. Another 18-hole golf course, La Grande Bastide, is 5 minutes away. 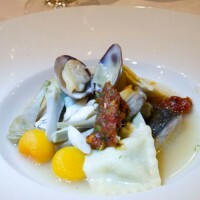 Gabriel Degenne, chef of the gastronomic restaurant Le Ciste, likes to share his kitchen with colleagues and friends for a meal, and offers a magical opportunity for gourmets to enjoy exceptional dinners duet with guest chefs. 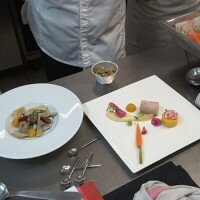 The Château de la Bégude has offered its guests a four-hand dinner with the guest chef Patrick Raingeard, from Cap Estel.